Step 1. 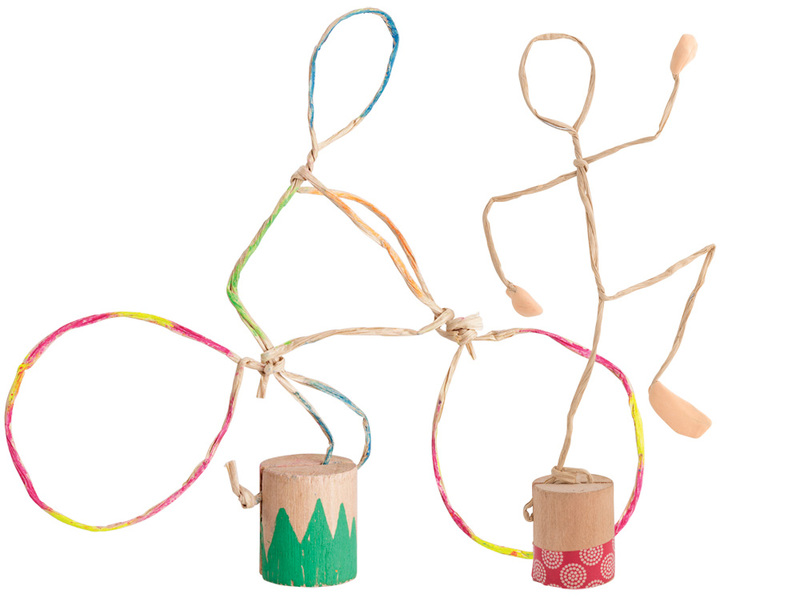 Introduce students to Paper Form-It, a pliable and easy to manipulate paper coated wire. Allow students time to explore the properties of this wire; bending, cutting, joining, coiling, twisting. What shapes can be made? Step 2. Look at photos of athletes in action. Discuss some of the poses and movements of the athletes. Do some of the athletes use equipment? Step 3. Ask students to choose a sport to represent. Draw a stick figure of an athlete in action, ONLY using lines. What are the positions of the arms and legs? Use these sketches as a reference for the modelled Paper Form-It figure. Step 4. Cut two lengths of Paper Form-It, 40cm and 15cm. Step 5. Fold the longer piece in half. Create a circle for a head at the fold. Step 6. At the base of the head twist the wire together to form a body. Step 7. Wrap the shorter piece of wire around the base of the head to create the arms. Step 8. Shape the figure to show movement – use your sketches as a guide. Step 9. Colour the figure and the Wooden Model Stand with the Fluoro Oil Pastels. Step 10. Insert the figure into the Wooden Stand. You may need to overlap the Paper Form-It to hold it in place. Step 11. Use additional lengths of Paper Form-It to enhance the figure’s pose or add pieces of sporting equipment.